An important exhibition to hit the London gallery scene this Autumn/Winter is “Black is the New Black” at the National Portrait Gallery (NPG) by renowned photographer and director Simon Frederick. A self-taught artist, photographer, filmmaker and broadcaster, he was born in London to Grenadian parents. His multidisciplinary work seeks to explore society, culture and human nature. He is the producer and director, of the award-winning #BBC documentary series Black is the New Black (2016) and They’ve Gotta Have Us (2018), featuring notable black artists in cinema today. 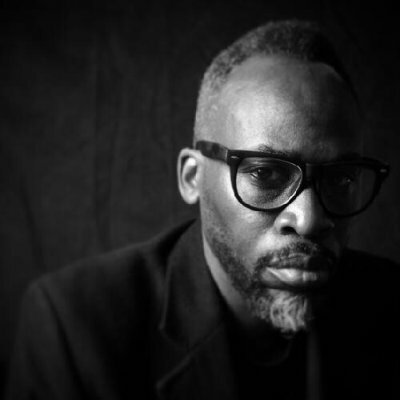 Frederick served as a judge on the Sky Arts series Master of Photography and has been named one of 2018’s 100 ‘Most Influential Black Britons’ in the category of Media, Publishing and Entertainment. We caught up with Simon at the beginning of BHM but thought in line with his thinking that “Black history should be taught throughout the year, we would run the interview now as the exhibition is still here until 27th January 2019. You can catch They’ve Gotta Have Us” on BBC iPlayer. The 38 portraits include Naomi Campbell, Sir Trevor McDonald, Thandie Newton, Dizzee Rascal, Laura Mvula, Ashley Banjo, Sir Lenny Henry and Les Ferdinand. Each of the 38 portraits featured in the exhibition can be brought to life through an augmented reality app, allowing visitors to view video interview content from the BBC TWO Black is the New Black series on their mobile screens. Once the app is downloaded, visitors can hold their phones up to the portraits, which will come to life with moving images and audio of the sitter. Alt A Review (AAR): Why or how did you choose the 38 sitters for your exhibition “Black is the New Black”? SF: They were 40, one was Lewis Hamilton but with their schedule and our schedule we kept missing each other. What I would like to do over the next 3 years which is why I have entered into a partnership with Oath. The partnership with Oath means over the next 3 years, each year we will add 10 more people per year to the collection. AAR: What was the first picture that you took that might have ignited this career path? SF: Oh my god! The first professional photo I took was of Erykah Badu and that was for The Independent newspaper. AAR: What does being Black and British mean to you? SF: What does Black and British mean to me? I have always ever since being a little child thought being Black and British is a unique privilege and I remember spending a lot of time in the Caribbean island of Grenada where my parents are from and the fact that I was British was almost something that marked me out as being special. When I came back to the UK I always thought of being Black and British as being special as well. I have never seen it as something I should be ashamed of, quite the contrary, I have always felt it is something I wanted to celebrate. Just to add to that coin I think that being Black and British, I have the best of both worlds, I get to celebrate my Caribbean culture and I get to celebrate the best of being British and that is what I try and celebrate all the time, do not get me wrong I know that I have to face racism and I know what racism is but because I do not feel like I am less than anybody else I never allow it to affect me. We have grown up in a country where a lot of Black people speak what I call code for White people, where we will not offend anyone, we won’t make anyone uncomfortable in our presence. I have long given up speaking code, I find it is true to me, my personality and my heritage if I speak to you in a way that comes from where I come from. So, I am not speaking to you like I am less then you and putting you on a pedestal. I am equal to you and I am going to speak to you like I am equal to you even if sometimes what I say to you, you are not going to like. AAR: Please elaborate on the title of the exhibition “Black is the New Black”. SF: So, the title is “Black is the New Black”, for many, many years in the fashion industry black is the new black has been attributed to Coco Chanel. Chanel said that every woman should have a little black jacket and little black dress in her wardrobe. And that black will always be the new black, meaning black will never go out of style. I always loved that term because I believe… I firmly believe black culture is the driving force of pop culture throughout the world black culture will never go out of fashion so for me I thought using Coco Chanel’s quote and giving it the name that I gave it is was due especially for that group of individuals, the same criteria I used for selecting those 38 people is the same the NPG uses to select whether or not someone is right for the walls of their institution. So, for me the tile and the criteria went together. AAR: If we look at the cultural landscape across the arts there appears to be a “celebration” of Black culture, is this change? AAR: I think what has happened, I think there is a huge shift culturally of what is going on in the arts and British culture, but I think a lot of Black culture is being consumed into wider society. My film which went out on BBC2 (Black Hollywood: They’ve Got to Have Us), in that film we are talking to some of the luminaries of cinema from Whoopie to Harry Belafonte. right the way through to John Boyega. In talking to them one thing we realised is that Black culture is being consumed by wider culture. The one question I asked all of them is why is it that people love Black culture but do not like Black people and we see this in how Black culture is subsumed into wider culture. What is happening is people are dressing like Black people are speaking like Black people and you go to an African art exhibition and 40 white people dressed in suits tell you they now represent African art. What is not happening, if you look at the 38 people I photographed, all those people are luminaries, all those people are at the top of their field. They are all seen as being great Britain’s but nobody wants to talk about…, their Britishness is celebrated, but nobody wants to talk about where they came from and I think that is the point, that is the part where culturally we are getting it wrong, people coming from Africa and people coming from the Caribbean as immigrants, they came here to better their lives and what we have with “Black is The New Black” and those people being put in the permanent collection of the NPG is a really story which is actually, it is not a finished story is a an continuation. it is the story of accomplishment these people are accomplishing what their parents set out to do when they left their countries to come to Britain in search of a better life and that story should be told. That is the story, an immigrant story it a success story, in this country the immigrant stories that we hear are not very positive stories and if we take that story out of context all we have is a negative view of ourselves and others have a negative view of us not contributing to British society which is wrong. AAR: Do you think having one month a year dedicated to Black History Month (BHM) marginalises Black people?